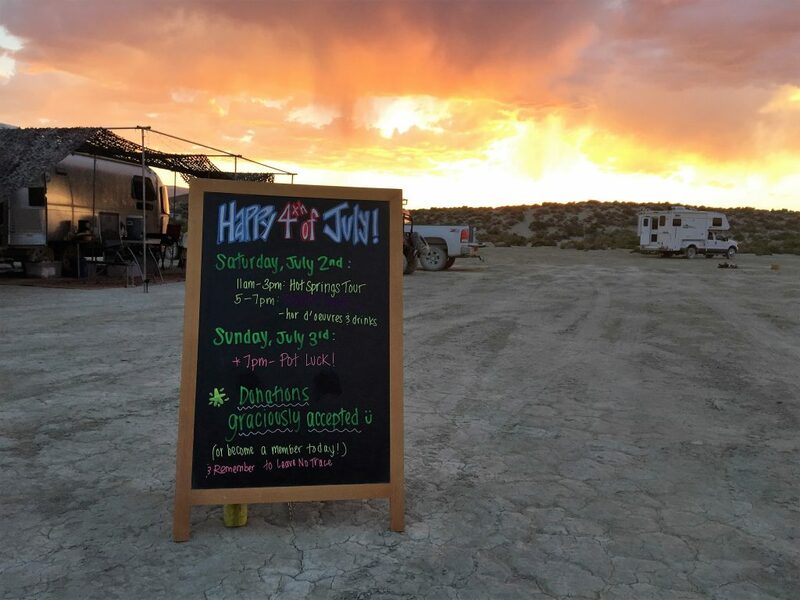 Come hang out with Friends on the Black Rock Desert playa 4th of July Weekend for a beautiful, informative, and all-around good time this Independence Day. This is a Leave No Trace camp out event. We also will be bringing two porta-potties, and we will have shade set up, so feel free to stop by and say hello! Please RSVP. Not required, but Encouraged. ***Activities will include tours of the area, camp games, great food, and moon and star gazing. We will be leading a guided hike up Steamboat Rock from 9am-12pm on Saturday. ***We will also be doing outdoor ethics outreach. ***This is a camp out event. Come find us if you have any questions about the area. ***Happy Hour with hors d’oeuvres and lawn games on Saturday from 5-7 pm.